I guess it hard to defend their last two terms of supporting Governor Pawlenty's administration that slashed funding to education, health care, transportation and the infrastructure. Not much to be said when you have one of these 'do nothing records' that supported in lock-step the bankrupted GOP philosophy of not taxing the wealthly two percenters. Wardlow is particularly a republican puppet...even down to being told what to vote. While he seems like (and I hear is) a nice guy, his record is one of total GOP support like not supporting new funding for education, to voting against most environmental issues. Being a school teacher and coach in the past, many vote for him because of previous interactions with him during school. However, times have changed including Wardlow's lost of endorsement from even Education Minnesota to his challenger DFL candidate Mike Obermueller. So all in all, being a 'no show' is probably a face saving move by Wardlow and the other southern suburbs republicans. It's easier than explaining their dismal records of not supporting those that elected them to office. Lipstick Lies and the Republican Platform. I hear there's to be a debate....about if there should be a debate...about the lack of a debate...well, you know.. I really don't believe for one second the rumours about McCain pushing fellow rethugs to smash the current deal and walk out so that McCain has a weak tea excuse to pass on the debates! Surprise! No not really. The walk out (political theater) was brought to us by the same group that went to war without a sound reason or being prepared. They pursue their ideological agenda regardless of who gets hurt in the process...even at risk to all Americans. 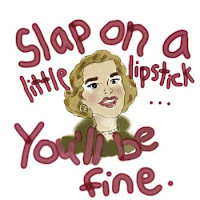 Whew, now that I got that off my mind...I really must change this shade of lipstick! Love this take from F. G. Fitzer : "I was going to try to explain how the bailout plan is completely unrelated to health care reform, and isn’t a spending cut, and all that, but then I noticed that Sarah Palin has cute little glasses and a signature hair style, and the hypno-rays emitted by Palin’s breath of “fresh air” put me in a numb trance once more"
That Could Buy A lot Of Lipstick! 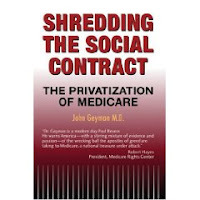 Representative John Kline (MN-R) has consistanly supported Bush's plane for the privatization of Medicare. Can you imagine what that would have done to our seniors in the current financial crisis? Kline's record shows a history of looking out for wall street interests while ignoring ours. Had enough yet? Call Kline (952-808-1213) and ask him if he still supports privatization of Medicare. Then ask how that would work in the economic crisis today. How do you support someone with a record like Norm Coleman? Well you certainly can't use his record of voting lockstep with Bush or his inability to use oversight in safeguarding our economy while using it to undermine the USA's foriegn policy. Even Coleman can't defend his voting record or why he's proud to continue the Bush Legacy into a McCain presidency (see below video). Lobbyists for McCain made it onto the floor of the Republican National Convention on Sept. 3 and handed out "Proud McCain-Bush Republican" stickers to unsuspecting convention-goers. Some interesting responses in the video, including Sen. Norm Coleman breaking down into gibberish when asked about Bush. And while McCain was inside talking about "change" and "reform" -- McCain supporters talked about how "George" McCain will proudly continue the Bush legacy, and how this is a "stay-the-course" election. Senator Norm Coleman like everything else...apparently wasn’t very good at math. Dubya Bush’s 19% approval rating will go even lower before November. And while Mrs. Bush gets the stand by your man award. "I know he may not be that popular right now, but we've liberated two countries -- 50 million people have been liberated from very brutal regimes -- and I think that's really important,"
The only thing Bush will be remembered for is his failed policies that have bankrupted this country both economically and morally. If by ‘liberated’ Barb meant forced countries into collapsed governments with mass food shortages, lack of clean water, inadequate health care, and no jobs, hundred of thousands dead and displaced…mission accomplished. BTW, we're knocking against that same door. Minnesota has the highest unemployment rate in over a decade, ahead of the national average, and out income is growing slower (49th overall). I'm not a financial advisor, but asking the Feds to buy your shitpile seems to be in keeping with our country’s standards. On the wall street (now main street) crisis and bailout of $700 billion: Damm straight I’m scared…has the revolution started? "Today is the day they are going to throw it back to you"
Because maybe You're gonna be the one who saves me ? I said maybe You're gonna be the one who saves me ? You know you've cross the line when even ROVE says your lying! As of now, McCain/Palin are up to 62 lies, untruths, exaggerations, misinformations, lipstick pigs... - counted by nonpartisan organizations such as FactCheck.org, Wall Street Journal, CNN and Associated Press. Click on the link to get an up-to-date listing. "We also want to make the point that just because you benefit from feminism doesn't make you a feminist. The fact that Sarah Palin is where she is today is because of all the work of feminists, that doesn't mean she's automatically a member of the club." Hmm...The madman at Liberal Street Fighter is at it again...He's fearing whichever candidate gets elected and depending on the day, I feel the same. Quit it with the preaching, it's like using g*d to sell cigarettes...just doesn't feel right and makes me feel dirty. "Leaders of the protest, which had been arranged and publicized by local unions and the Ohio Democratic Party, said that as many as several hundred people had been expected to attend, but police were not letting them through roadblocks surrounding the area." 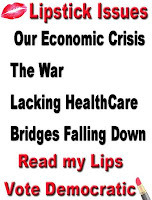 Need some ideas for signs...try the new Lipstick Issues...The War, The Economy, The Banking/Housing/Job Crisis, Healthcare, Bridges falling down, Poverty, MN 22 year high UNEMPLOYMENT! Social Security: Don't Kiss it Goodbye! Huamn Rights: Don't Kiss them Goodbye! Look for me at one or the other...I'll be the one with red lipstick! Lipstick Watch: McCain said yesterday that the current banking crisis is because of greed and corruption. Stating that Wall Street has betrayed us. Which is funny when you consider his campaign has at least 177 lobbyist working for his campaign and several of McCain's top campaign aides lobbied for Fannie and Freddie. What's that smell? Ah, it the stench of McCain selling voters out to influence-peddling corporate interests. 1. The Obama campaign organized rally noon at Peavey Plaza on Nicollet Mall in Minneapolis. Saturday Night’s opener ‘Palin/Hillary’ is a must see. They say it all and then some...but look at me...I'm being distracted by a made for tv political puppet...back to the reality of soaring energy prices , today's Stock Markets Plummet as Lehman Brothers & Merrill Lynch Collapse, and now instead of the housing market crisis we're seeing our whole nation's financial system in crisis. People our house is going up in flames. Its time to call in the fire department not ask the same folks who set it on fire to put it out. I don't know if Obama can handle the whole mess, but I hope he can...and I know for sure McCain and Palin won't. “Interviews show that Palin runs an administration that puts a premium on loyalty and secrecy. The governor and her top officials sometimes use personal e-mail accounts for state business; dozens of e-mail messages obtained by The New York Times show that her staff members studied whether that could allow them to circumvent subpoenas seeking public records…. McCain’s campaign has been very successful in distracting voters away from any substantive issues with it's new shiny Palintology. 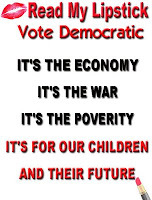 So let’s all take a step back to remember things other than Palin’s favorite color that will make a difference in our lives and communities..
...the national debt, nuclear proliferation, mideast policy, global warming, gas prices, health care crisis, and the economy…. Ordinary people change the world. It's true. and so can you. The goal is to save the house where Superman was created. And why not? We save all sorts of structures that represent people and their accomplishments. 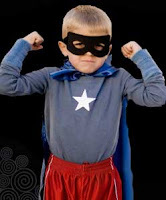 Superman is one of the world's most recognized heroes. And the superman legacy should be preserved. Our family’s economic well being was founded on my husband’s college degree. It’s true- For years we lived a feast and famine life style where our main income came from his music playing. It was fun, diverse, and very ‘m-TV-like’ but the money was never as predictable or regular as the expenses. Then in his mid 30s, living on a converted school bus with a couple of kids, my husband made the decision to start college and become an engineer. It wasn’t easy; we struggled with covering college expenses while trying to maintain a roof and food for the family. By the time he graduated, we had a school debt of several thousand dollars. But lucky for us, the engineering field was booming. I’ll never forget his first engineering job. In one month his salary was more than we had made the whole year before! His degree was the keystone to our family’s economic well being. In addition we became a source of taxable revenue for our community, state and federal. We spent more which improved the economic well-being of others within the community. It was a classic example of an education paying for itself. My family can attest both to the dream and prosperity of education. It was our ‘ticket to success’. Now go vote....and remember dreams can come true if you make the right choices. As much as Timmy reminds me of the over zealous under qualified Palin...he did have a smidgen more political experience...wonder what the GOP VP vetting process looked like? Poor Timmy! Do you think he cried when they voted him off the island? It's hard to put back a bridge once it falls down. Ah, they picked her because she speaks their language! Gloria Steinem's Op Ed really nails Palin's choice by McCain especially the part about affirmative action being about bringing more to the table not lowering the standards. ..."Palin has been honest about what she doesn't know. When asked last month about the vice presidency, she said, "I still can't answer that question until someone answers for me: What is it exactly that the VP does every day?" When asked about Iraq, she said, "I haven't really focused much on the war in Iraq."